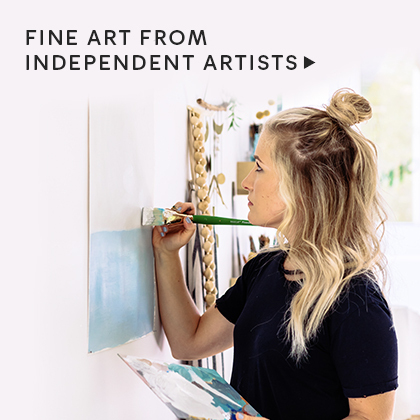 Unique designs, freshly sourced from independent artists. 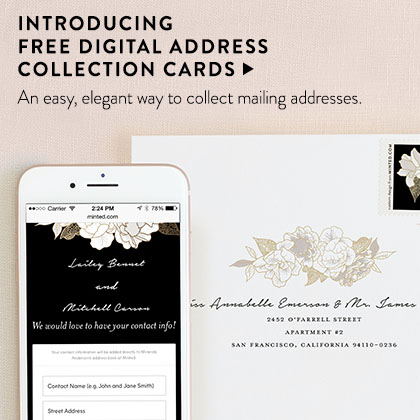 Find the perfect holiday card format to suit your style, with FREE custom envelopes and recipient addressing. 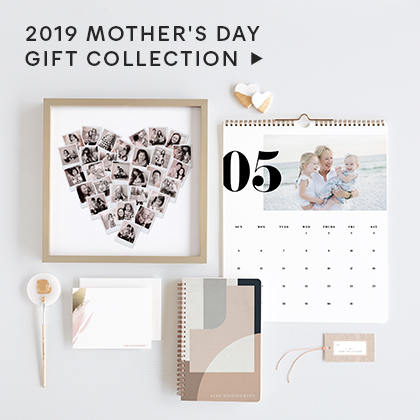 Send a keepsake that friends and family will cherish. Our original holiday card—famous for a reason. Customize to make it your own. Hand-pressed with real gold, silver, rose gold, glittery gold, or glittery silver foil. Add custom foil text to any holiday card for a luxe finish. 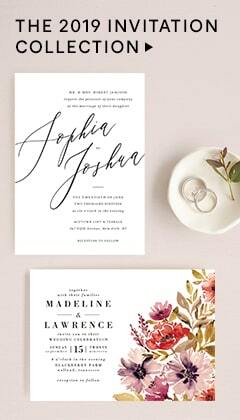 Rich inks deeply hand-pressed into 100% cotton paper using an antique Heidelberg letterpress. A unique holiday card that they can enjoy year after year, now available foil-pressed. Luxe linen ribbon included. Say more with our folded and multi-page cards. Tell the story of your year with our NEW 2018 interior designs. Available with standard and foil-pressed printing. The modern annual newsletter–with chic rounded corners and 8 pages to share photos and memories. Get the most out of your holiday card with our savvy smaller sizes. Save on postage and paper with a 4.25" x 6" postcard. No envelope required. Available with standard and foil-pressed printing. A smaller version of our standard holiday cards. Available with standard and foil-pressed printing. Create a custom holiday card that’s truly one-of-a-kind. We’ll turn your art, your child’s drawing, or a map of a special location into a foil-pressed card. Add a photo or complement your card design with custom and non-custom holiday postage stamps.